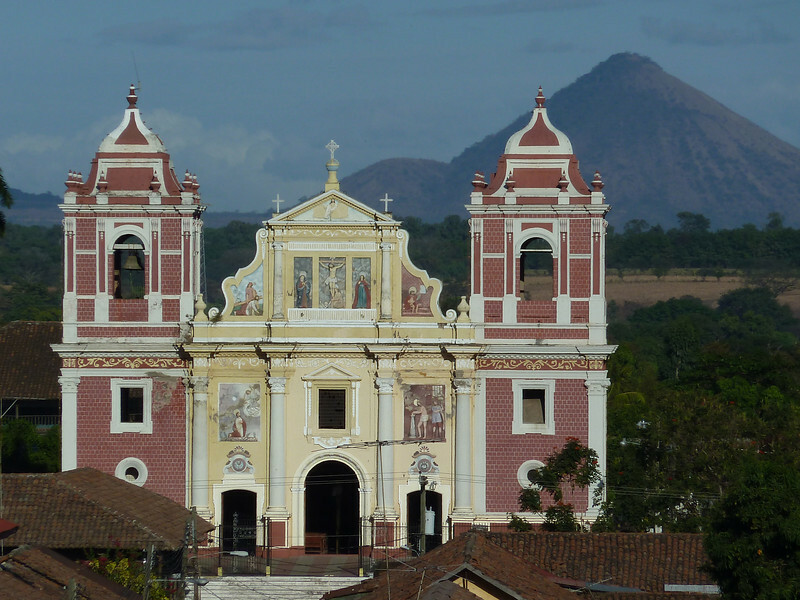 Leon, Nicaragua has a reputation for liberalism, intellectualism and independence. 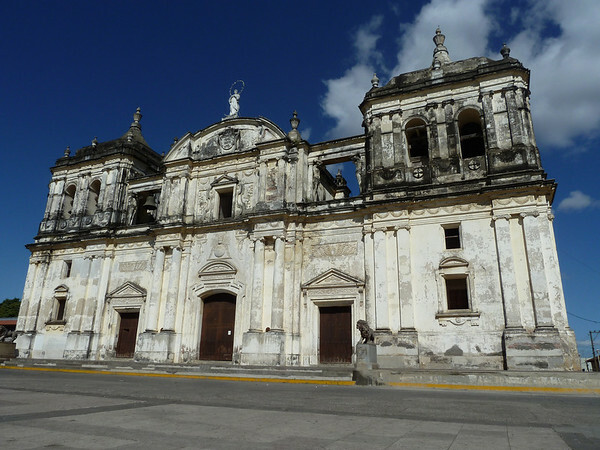 There are three major universities and several smaller ones, the largest cathedral in Central America and a World Heritage Site, a dozen or more ornate churches (think baroque and neoclassical) and an art gallery hosting the largest collection of Central American artists anywhere. It’s not advertised, but if you ask, for $2 you will be allowed to tour the roof unsupervised. The views of the area as well as the cathedral domes make it well worth the time! A great city for walking, I spent a couple days just visiting churches and museums. I spent a few hours in the very impressive Ortiz-Guardian Museum. It is housed in three buildings and features works of Diego Rivera and many Central American artists. There are even some original Picasso sketches. 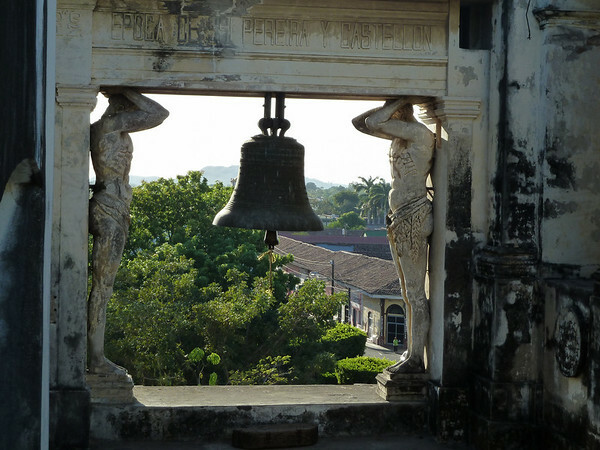 The Museo de Ruben Dario (Nicaragua’s most famous poet and favorite son–his tomb is immediately to the left of the main cathedral alter) is also worthy of time spent. 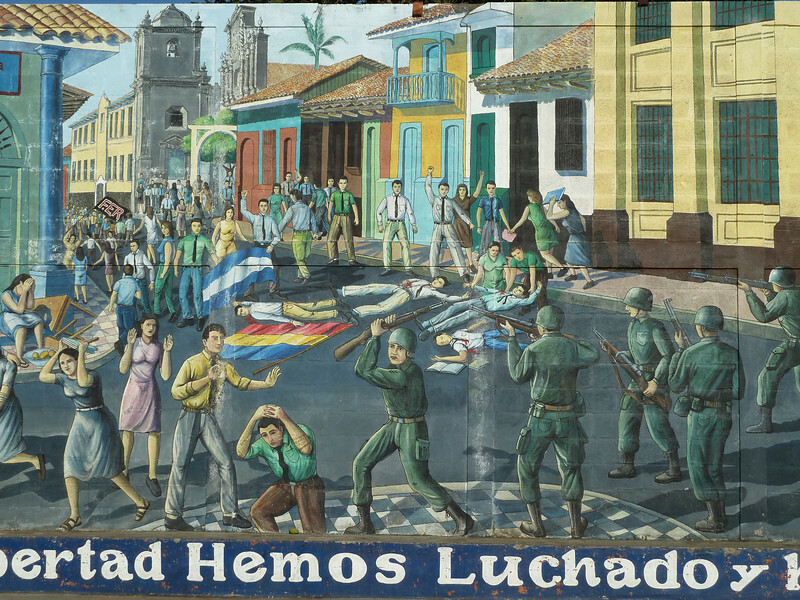 Adjacent to the Parque Centro and the Cathedral is a very long mural covering two buildings which depicts Nicarguan history from the Spanish conquest to the most recent revolution. 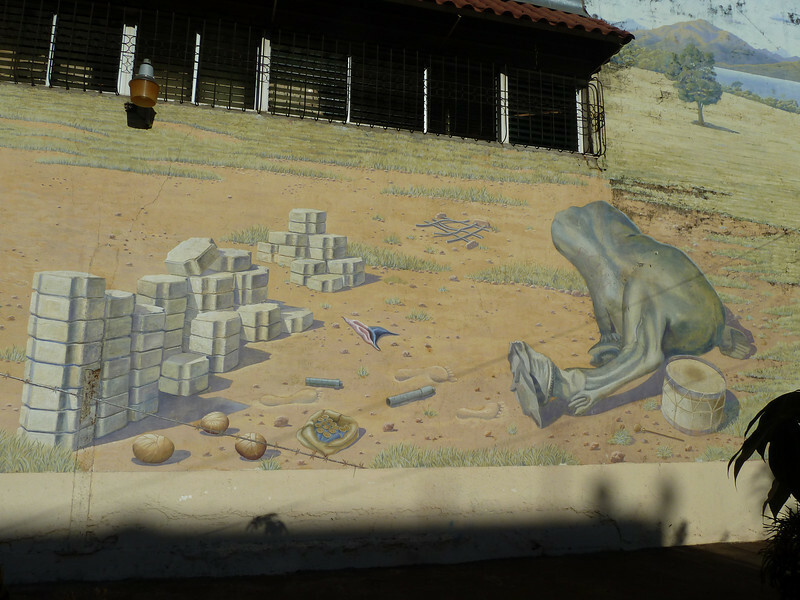 As I was pondering this mural, a woman approached me and introduced herself as Maria. She spoke slowly and deliberately in Spanish. I was able to mostly follow her as she interpreted the mural for me and then stated how her husband had been shot to death at this spot. Wiping my eyes, I apologized for the role my government had played in all this violence, but she would have none of it. There was no blame in the retelling of her history; only the genuine desire to educate and remember the past. The experience affected me profoundly and deeply. So this is also Leon. It’s the gritty version of its more polished rival, conservative Granada. It’s a place where people are real and unapologetic, yet friendly. It is a town of good restaurants, music and nightlife. It is a town of Bohemian gathering places and expresso bars. 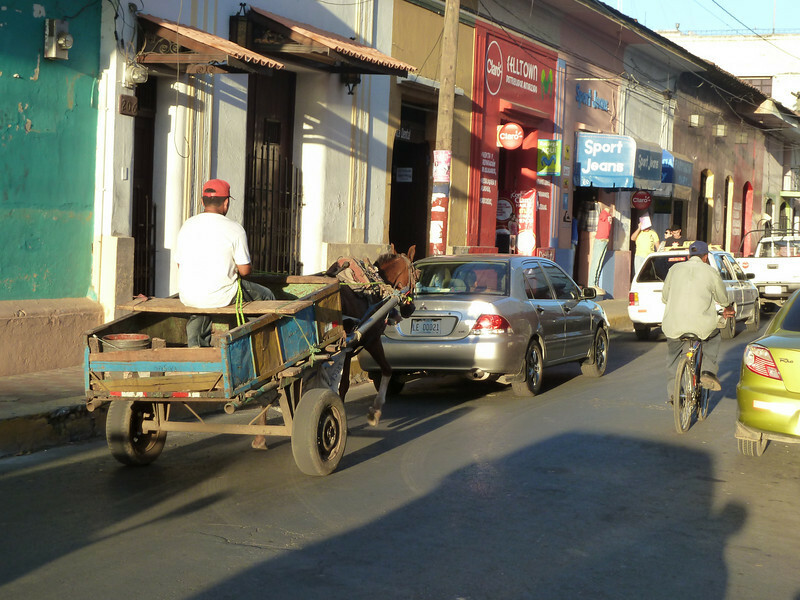 It is a town where you can get good street food well past midnight for a couple of dollars. It is Leon. The art, architecture and natural beauty in your pictures are stunning. Thanks for bringing me along on your trip in this way. I really need to go with you sometime just to pick up some art, I love some of the works you have photographed. Thanks Mike! Just got to Costa Rica yesterday, in time for a birthday bash tonight with old friends in Playa Grande. 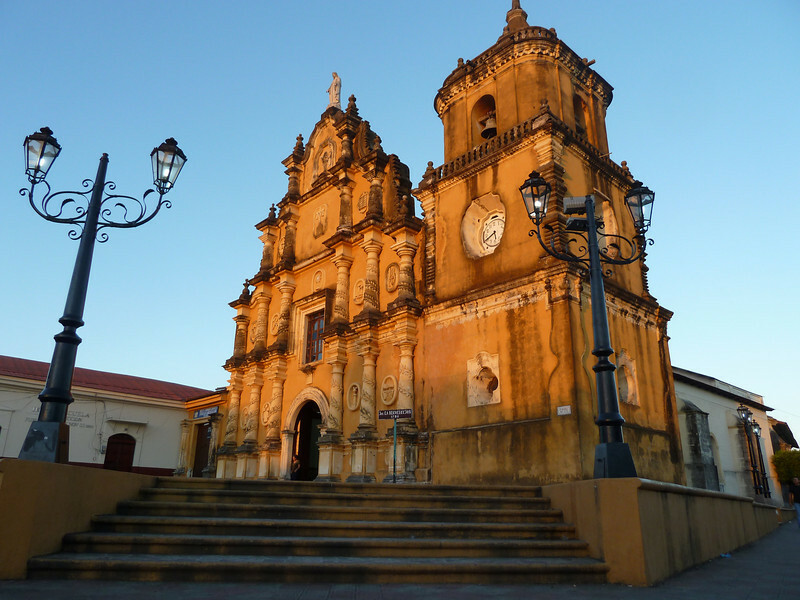 Leon was definitely my favorite city I visited in Nicaragua. Not too big. Not too small. Modern enough to have good nightlife but still had culture and history and simplicity. I live in a university town in the US, so I think I’m drawn to the type of atmosphere that is created by that. The other thing I liked was that the people were indifferent to tourists. They didn’t cater to them, but they also were not rude or dismissive. They were accepting and just went about their daily lives. Well said on all accounts Stephanie. Reminded me a lot of my days at UC Berkeley, except we had no abundance of churches and cathedrals.